If you wanted to sell your home office chair, Marketplace could use AI to help you sell it even faster by suggesting you price it between $50-75 based on what similar chairs recently sold for. It will also automatically categorize the chair as “furniture” based on the photo and description, so that you don’t have to. Facebook says it is also currently testing camera features that use AI to recommend products. An example would be taking a photo of your friend’s headphones that you like, and then learning about similar listings for sale nearby from Marketplace’s AI technology. Facebook is not stopping there however, stating that they have big plans for AI in the Marketplace. At an unknown later date, Facebook says users will be able to upload a photo of a room to get tailored product suggestions based on the room’s size and existing furniture layout. In their announcement, Facebook also said they were now introducing buyer and seller ratings, more robust reporting tools, and using AI to help better detect and remove inappropriate content. Facebook’s further investment in Marketplace highlights the success of the two-year old platform. One key reason for this success is that users don’t need to pay fees in order to sell, like they do for some listings on Craigslist and for all listings on eBay. It also allows users to choose the option to only sell or buy within their Facebook friends list or users with mutual friends. However the most important reason for the success of Marketplace is Facebook’s massive audience. The concept of Marketplace is not new or very different, but its reach is more than five times larger than Craigslist (some 55 million visitors a month) or eBay (175 million monthly active users) currently. With Facebook’s 2.23 billion monthly active users, and their investment in AI to further drive success, it’s not surprising that it has even been referred to as the ‘Craigslist Killer‘ by some outlets, after 18 million products were listed on the site within it’s first six months of launching. These updates for Facebook Marketplace add functionality similar to that of the Amazon Echo Look. The Echo Look is able to suggest clothing based on photos a user uploads, help users organize their closet by uploading or taking a photo of their closet, and give advice based on what a user is already wearing. 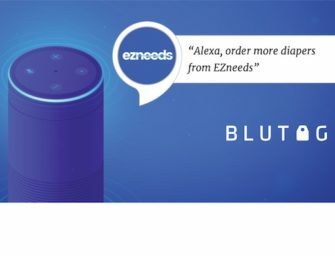 With the Echo Look, Amazon was looking to not be limited by what users own today. If Facebook Marketplace does end up getting those features where users can upload a photo of an item they like, say an article of clothing, and be shown similar products for sale nearby, Facebook too will be enforcing the methodology of not being limited by what users own today. They will use AI to sell more products. Currently users do not have to pay any fee for using Facebook Marketplace, and it will be interesting to see whether or not that stays, as the platform evolves with its new AI technology. How this development will be integrated into the Facebook Portal smart display is not known, nor is it known how Alexa will handle the Marketplace, now that Alexa is integrated into the smart display.